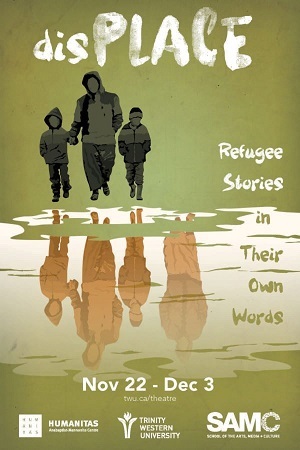 There are several great ways to learn more about refugees this month, through Journey Home, Kinbrace, First CRC, New Hope, – and disPLACE: Refugee Stories. Local ministries are preparing for the next wave of refugees, even as they continue to support those who have already arrived. According to the federal government, some 6,000 more government-supported Syrian refugees will arrive in Canada this fall (of whom about 800 will likely pass through Vancouver), along with privately sponsored refugees whose cases have been finalized. 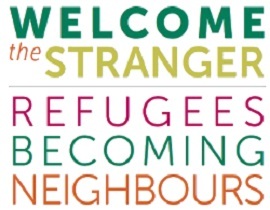 Journey Home Community and Kinbrace Community Society will host a workshop for individual Christians and church groups who already are, or want to be, hospitable to the refugees arriving on our doorstep. If you are currently working with refugee communities, either individually or with a team, this evening will further equip you for your work. We want you to come away feeling encouraged and energized. If you are part of a church or group considering involvement, we believe this workshop will assist you in discerning next steps. Journey Home Community and Kinbrace will be sharing practical opportunities to get involved with refugee families who are already in Canada. Presenters will be Dr. Erin Goheen Glanville and Mark Glanville. Erin researches and writes in the area of contemporary refugee narratives. She is a full-time mom and has edited two multi-author volumes, one on globalization and the other on the creative resilience of refugee-ed and indigenous people. Mark is pastor at Grandview Calvary Church and wrote his PhD on the laws regarding the stranger in the Old Testament. He has written a book on Exodus. Erin and Mark are currently co-authoring a book that will assist churches in supporting refugees. This event is part of a program supported in part by the United Way of the Lower Mainland. First CRC: Welcome Baskets . 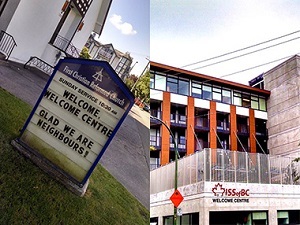 . .
First CRC is working closely with their new neighbour, the Welcome Centre of the Immigrant Services Society of BC. Dena Nicolai is a chaplain and refugee support mobilizer working out of Vancouver First Christian Reformed Church, which is located right beside the new Immigrant Services Society of BC (ISSofBC) building at 10th and Victoria. Welcome Baskets: A great opportunity has come about for our church and our local community to give Welcome Baskets to newly arrived refugees upon their arrival at the new ISSofBC Welcome Centre. Welcome Baskets are filled with household staples and some dry food provisions that fit into a laundry basket. They range in cost depending on family household size. If you are interested in helping via donating items, contributing financially (tax receipts available), assembling or delivering baskets contact Dena Nicolai: dena@van1crc.org. disPLACE: Refugee Stories in Their Own Words is a world premiere created by theatre artists at Trinity Western University. 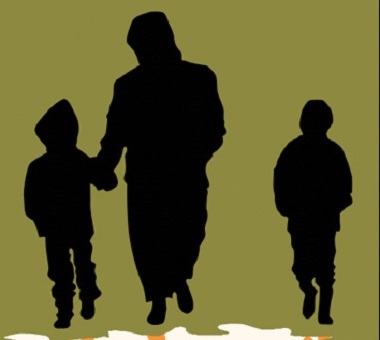 The show will weave together real-life experiences of refugees from a variety of cultures – from Mennonite immigrants who fled Europe after World War II to recently arrived Syrian refugees. Director Angela Konrad, chair of theatre at TWU’s School of the Arts, Media + Culture, conceived disPLACE to be presented in the SAMC season as a launch piece for her newly formed company, Dark Glass Theatre. The school’s leadership readily agreed to partner on the production. Humanitas Anabaptist-Mennonite Centre, which has ties to TWU, is the umbrella organization for Dark Glass Theatre. The mandate of Dark Glass Theatre is to tell stories that enable us to see, face-to-face, people we might not otherwise meet. Compelling, personal stories can have a profound impact – decreasing judgment, increasing compassion and fostering empathy. The show runs from November 22 to December 3. Jamey McDonald and New Hope Community Services worked with Journey Home and Kinbrace to put on a major event introducing local churches to the world of working with refugees last November. Check out their blog or read Nafisa’s inspiring story; she lived at the apartment after arriving from Bangladesh and is now working successfully as a chef. An interesting story might be a feature on St Gregory’s (Richmond) which has sponsored an astonishing number of Armenian Syrian refugees over the last 18 months.